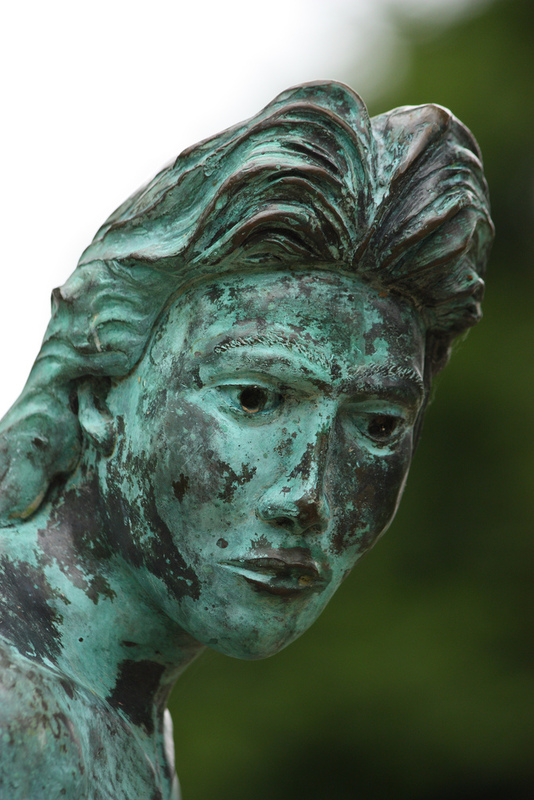 The face of the statue is quite drastically different, and very distinct. 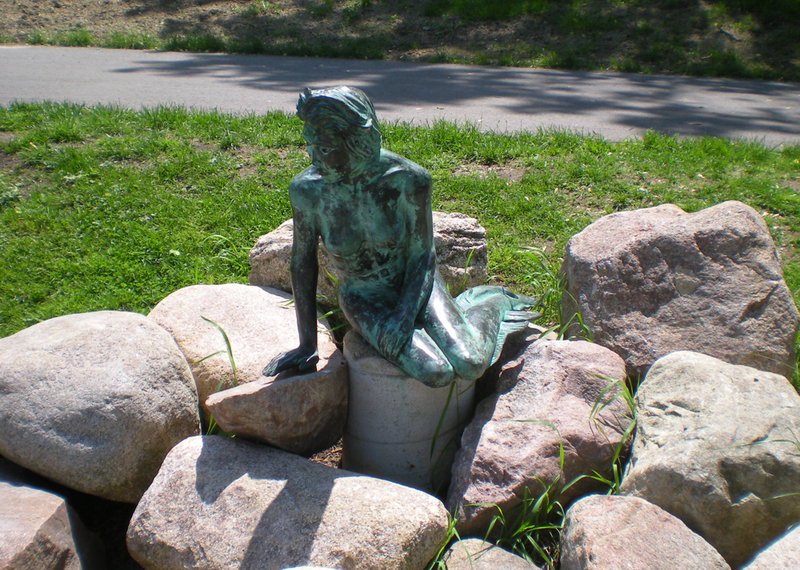 Nonetheless, the Flat River mermaid became the center of an international controversy concerning the copyrights of the original sculptor, Edvard Eriksen. 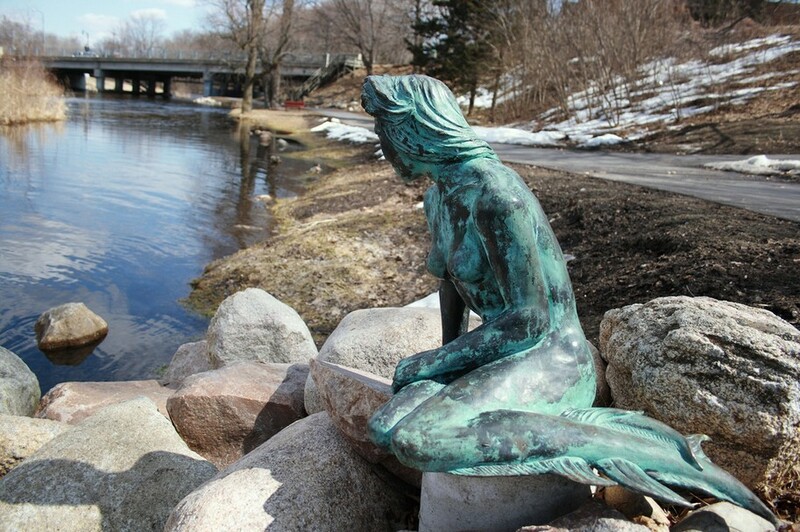 The City of Greenville was sued by Eriksen’s heirs for copyright infringement in 2009, 15 years after the flat River mermaid was sculpted by David Willison. The lawsuit was later dropped. At 30 inches, it is a little over half the size of the Danish statue. In one of Hans Christian Andersen’s best known fairy tales, a mermaid must choose between her love for a prince and life under the sea. This replica of the Edvard Eriksen statue that graces the harbor in Copenhagen, Denmark, was crafted by artist Steve Willison and dedicated on August 18, 1994, by the Danish Festival Board in honor of this area’s proud Danish heritage. 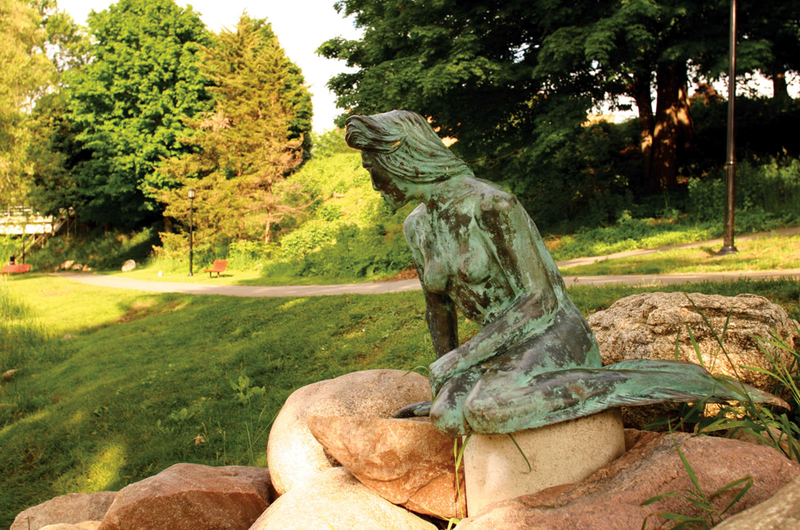 Greenville’s Flat River Mermaid. Photo © Catherine Behnke. The Greenville replica of The Little Mermaid. Bronze replica by David Willison. 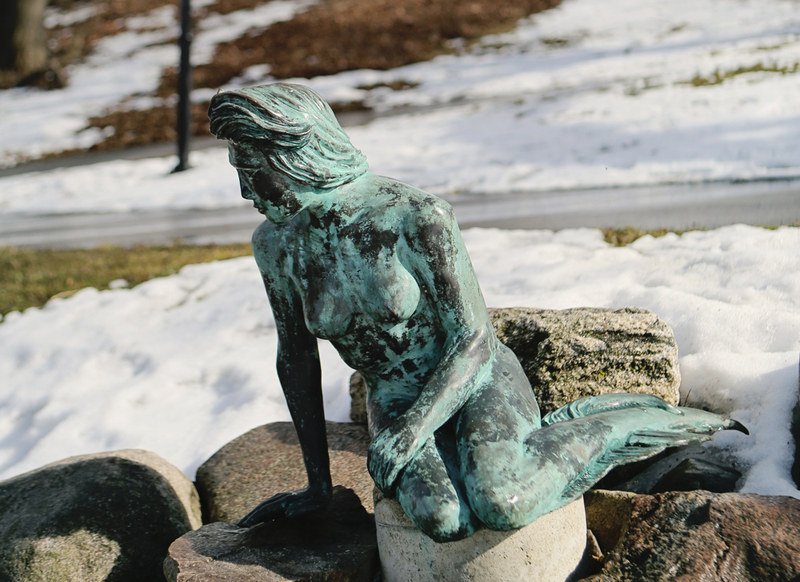 Additional images: We need additional and high-resolution photos of this mermaid statue. If you would like to help, please contact us. Photos must be yours, preferably 10 megapixel or better.